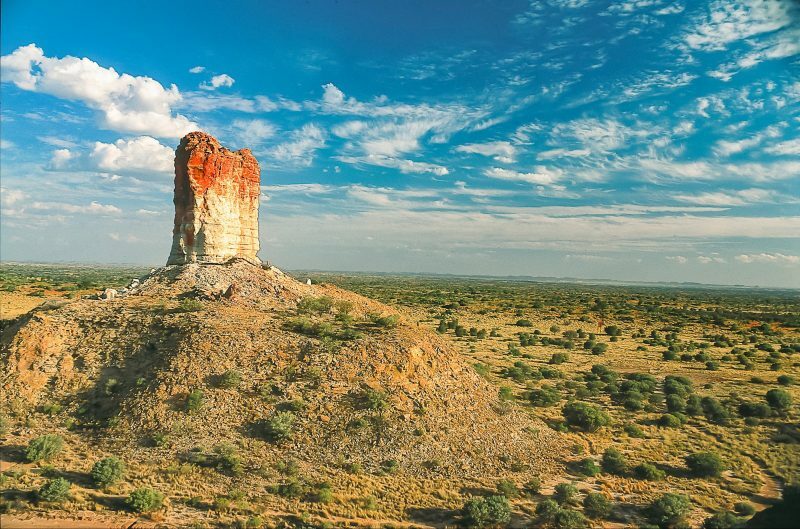 Chambers Pillar is a spectacular solitary column towering 50 metres above the Simpson Desert plain, located 160km from Alice Springs. Explore the reserve on foot, and don’t forget your camera. Chambers Pillar was formed from sandstone deposited and worn down over 350 million years. 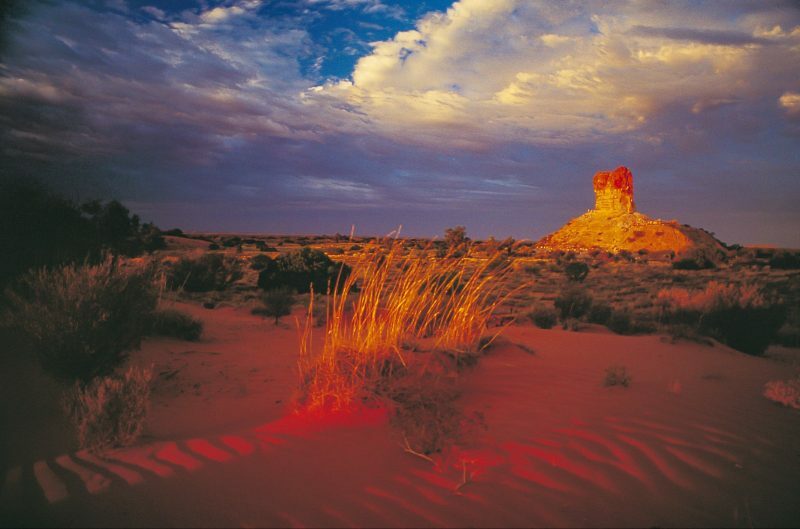 It was an important landmark guiding the region’s earliest pioneers on their way from Adelaide to Alice Springs. John MacDouall Stuart first recorded the pillar in 1860 and named it after James Chambers, one of his South Australian sponsors. 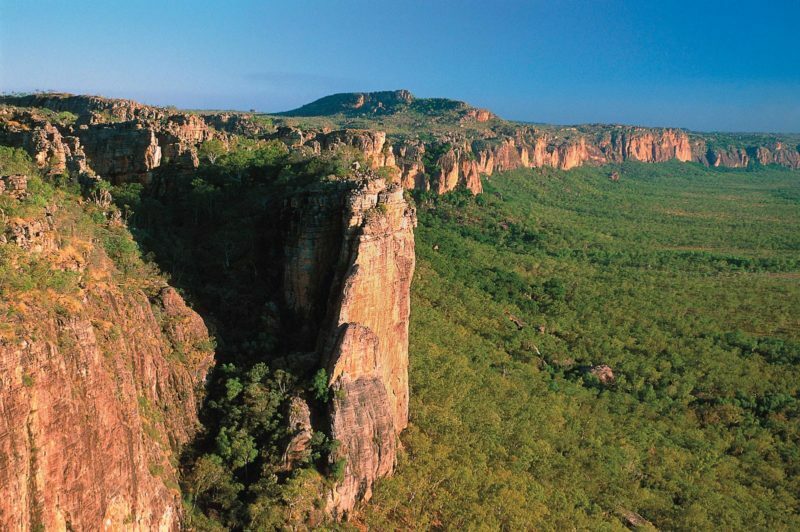 The local Aboriginal people believe that the pillar is the Gecko ancestor Itirkawara. Banished for taking a wife from the wrong skin group, he retreated into the desert. When they stop to rest they turned into prominent rocky formations – Itirkawara into the Pillar, and the woman into Castle Rock 500m to the north-east. 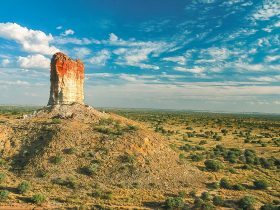 Follow one of the marked walking tracks to the viewing platform or past the prominent features of Chambers Pillar. Photographers should time their visit for either sunrise or sunset when the Pillar glows as the rays of the sun strike its face. Access is via four-wheel drive tracks. Camping is permitted (fees apply), and guided Ranger talks are held May to September.